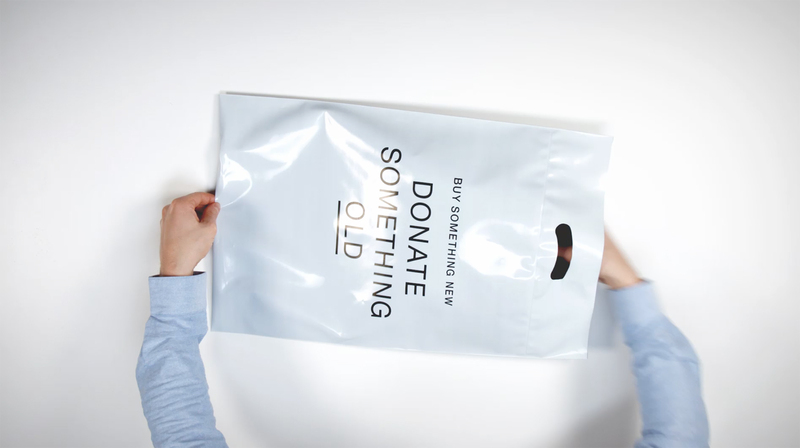 A shopping bag that makes it easier for fashion consumers to donate their used clothes. Turn the bag inside out and place an old item inside it. Prepared with seal-strip and pre-paid postage, it’s a simple way to go from just talking about recycling to actually doing it.